What can we learn about entrepreneurship from the Socialist Republic of Vietnam, a communist dictatorship, you may wonder. Had you asked me just a few weeks ago, I would have answered “probably nothing.” However, I recently spent a week in the country and spent some time reading and learning about it. I since have changed my mind. Vietnam is still a communist country (since the end of the Vietnam War in 1975), with government five-year economic plans and collective ownership of all land (at least officially) affecting its largely agriculture-based economy. Vietnam is the second largest exporter of rice in the world; I was told that about 80% of Vietnam’s population of about 92 million is in some way employed by the rice business. When talking to our local guides, the image of completely government controlled rice growing started to change, however. Enterprising families had divided paddies to grow rice for their own needs and even owned their own machinery (or a water buffalo). In addition, they keep chickens and ducks and sell the surplus eggs. However, the power of entrepreneurship is most visible in Vietnam’s other dominant industry: tourism. The country has diverse natural beauty, from beaches to mountains to the archipelago of the Halong Bay, and the capital Hanoi as well as other cities offer interesting glimpses to Vietnam’s dynastic and colonial (Chinese and French) past. Tourism business is mostly private, often run by small, family-owned companies that fiercely compete to offer the best value and service to tourists. For example, Hanoi’s Old Quarter is full of small boutique hotels with attentive, friendly staff, where beautiful rooms can be had for the fraction of the price in North America. Likewise, restaurants and stores are private and offer fresh, delicious Vietnamese food, and a variety of goods from locally designed clothing to Vietnamese coffee. Tour operators have innovative offerings from street food walking tours in Hanoi to trekking and homestays in the mountainous North, and many locals gainfully employ themselves as guides. And Uber has been operating in Vietnam since 2015 (much longer than in my home city Calgary! ), providing opportunities even to drivers who don’t speak any English. But most importantly, to fully achieve flourishing, the Vietnamese need not only economic but political freedom. Not to sound like an advertorial for the Vietnamese tourism industry, let’s take a critical look to see what is missing in the country, preventing the hard-working Vietnamese people from fully taking advantage of the opportunities for prosperity that unrestrained entrepreneurship provides. The GDP per capita, although having increased rapidly in the last 10 years or so, is still only about $6,000. Despite the increasing liberalization of trade, some privatization, and more respect for private property rights, the Vietnamese still don’t have economic freedom at the same level as North Americans. Government regulates many industries (controlling prices), and the labor market regulations are particularly rigid, preventing people from seeking employment in fields they choose. This and the weak judicial system deter foreign investment, which restricts access to capital to many would-be entrepreneurs. But most importantly, to fully achieve flourishing, the Vietnamese need not only economic but political freedom. This means changing the government from communism and central planning to one that recognizes individual rights, not just to property but to life, liberty and pursuit of happiness. As we have seen in the case of China, such a change is unlikely to happen overnight, as the Communist Party leaders are unwilling to relinquish power and to admit that their communist ideology is inconsistent with the requirements of human survival and flourishing. However, there is hope for Vietnam, as the political leadership has had to acknowledge that their statist policies would have led to starvation of the population and subsequently expanded economic freedoms. Once the Vietnamese people have more taste of the prosperity that economic freedom and entrepreneurship afford them, they know what is possible and can demand (or rather, ask for) for more of both political and economic freedom. 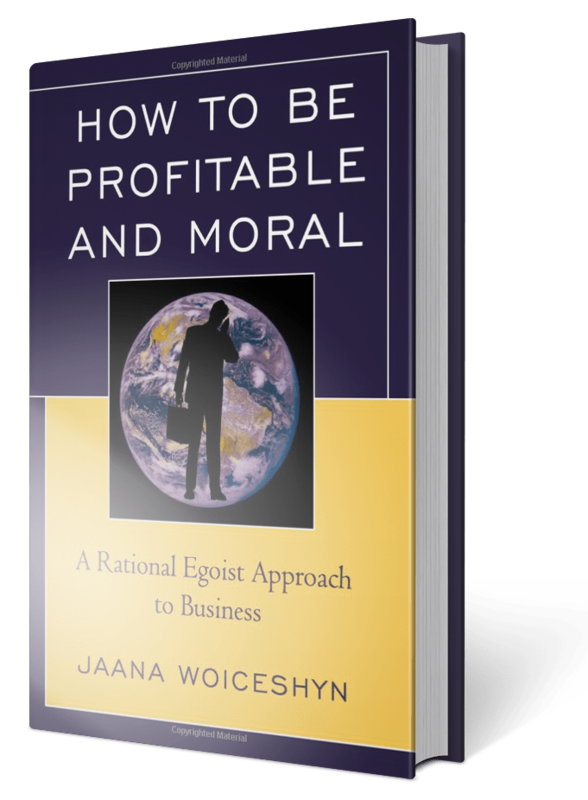 Next articleProfit maximization is moral! Hernando de Soto has chronicled the industriousness of people even in the face of bureaucracy and laws, and the limits on their success resulting from lack of property rights. His early book The Third Path covers Peru, a later book Africa. The TV documentary Globalization is Good provides examples of success in SE Asia where women who gained experience working for Nike started their own business after their children got to school age – services and products sold to Nike employees. It also provides examples of industriousness of individuals in Africa where they have fewer rights than in the country with the Nike factory. Their existence is precarious, as in Communist China and Vietnam where people are operating in violation of official ideology, sometimes getting favouritism somehow. A good study might be the progress in countries that have had great advances in freedom in the past few decades, such as Taiwan (fka Formosa) and South Korea. And the risk – SK has a recession several years ago, I don’t remember why. Thanks for your insights, Keith! Even with all the accumulated evidence, such as what you cite, people still don’t get how anti-human fluorishing socialism is.